A few weeks later I heard from the caller who disliked President Clinton. He thought we narc’d on him and gave his telephone number to the Secret Service. Truth be known the station didn’t have caller ID at the time and the government figured out who made the call through telephone records. When he arrived home one afternoon after work, the Secret Service agents were waiting for him in his driveway. The U.S. government has a way of dealing with people who call for the killing of a President. There are many agencies within the government that will do an investigation. The Secret Service is just one. NTIA is the Executive Branch agency that is principally responsible for advising the President on telecommunications and information policy issues. NTIA’s programs and policymaking focus largely on expanding broadband Internet access and adoption in America, expanding the use of spectrum by all users, and ensuring that the Internet remains an engine for continued innovation and economic growth. Senator Edward Markey of Massachusetts wants to use the NTIA to listen, watch and gather data to determine what is “love speech” and what can be considered “hate speech” on radio, television and the Internet. Markey, along with Congressman Hakeem Jeffries of New York, is proposing the “Hate Crime Reporting Act of 2014.” The idea is to have the NTIA “analyze” content on talk radio programs (for example) and determine if this type of speech is advocating and encouraging hate crimes. The bill from these two Democrats does not define what type of speech will be considered “hate” nor who will be deciding what is “love speech” or “hate speech.” And therein lies the danger in this. Not to get into another American Founding Fathers history lesson, but those guys felt one of the most important issues was insuring freedom of speech; free thought and expression without the fear of the government telling you what you can say and what you can’t. They must have thought it was important since it’s number one on the Bill of Rights – Top 10! What can those actions be? Let’s say there’s a network radio talk host whose show is heard on 600 radio stations daily. The company that distributes his show also owns many of the stations he’s heard on. Each weekday this host spends three hours being overtly critical of the President. Some may conclude he hates the President or is trying to incite his audience. Either way his speech can be considered as hateful by political contrarians of the host. The NTIA monitors the show and discovers the host’s daily narrative deeming it, rightly or wrongly, as “hate.” A report is then sent to Congress with a recommended action plan. 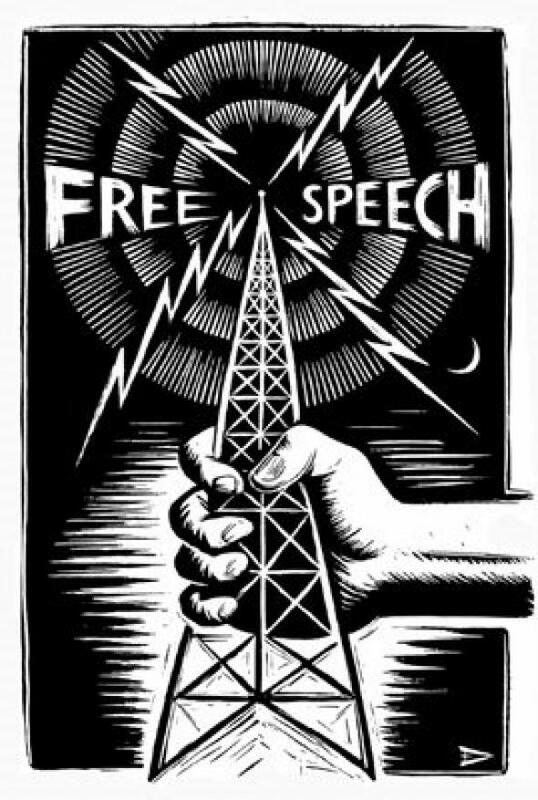 That action plan might include the involvement of the Federal Communications Commission (FCC) to revoke the licenses of the company’s radio stations broadcasting the host’s show…unless…they stop employing the host and broadcasting his “hate speech,” speech that was determined as “hate” by the government. An issue of free speech as the government silences opinion and thought, something frowned upon in the Bill of Rights. Chances of this bill passing are slim according to govtrack.us.